The Night Guest introduced an Australian writer ‘with the promise of literary greatness’ (Los Angeles Times). 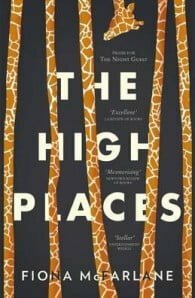 The High Places delivers on that promise. The dazzling stories in this collection find those moments when people confront the strangeness and mystery of their lives. The revelations of intimidating old friends on holiday. An accident on a dark country road. A marine biologist in conversation with the ghost of Charles Darwin. The sudden arrival of American parachutists in a Queensland country town. A lottery win. A farmer troubled by miracles in the middle of a drought …The people in The High Places are jolted into seeing themselves from a fresh and often disconcerting perspective.